BYB welcomes all kids grades K-8 to register for the upcoming season. BYB has an equal playing time policy of 5 minute shifts per player for all in-house teams. The season gets underway in November and goes all the way through March. If any parent is interested in coaching or has questions about our Inhouse program for the upcoming season, please contact Administrator - Inhouse Coordinator . K-Ball and Sunday Night Hoops registration is also open and the cost is $100.00 per player. Online Registration for BYB is available. You now have the convenience of using our safe and secure on-line registration website using your credit card (VISA or Mastercard). All BYB Board Meetings Will Be Held On The Second Wednesday Of Each Month @ The Billerica Little League Condo At 7pm. 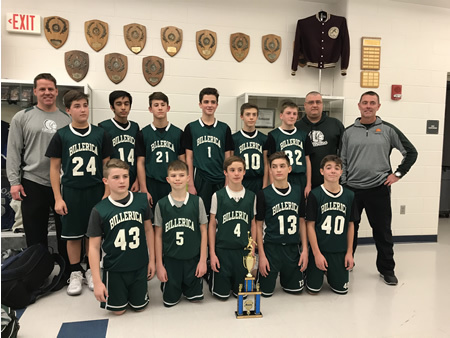 Billerica 8B Boys - MVL League Champions !!! 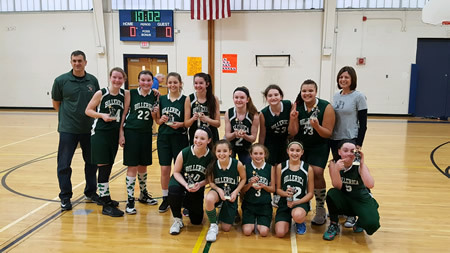 Billerica Travel 5th Grade Girls - River Valley League Champions !!! 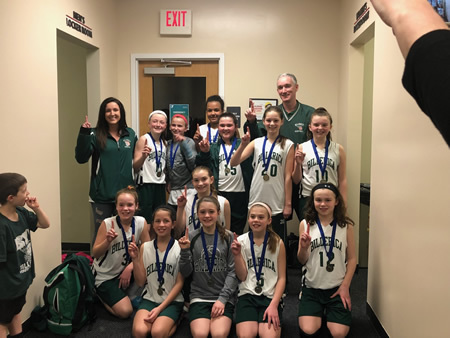 Billerica Travel 5th Grade Girls - (4-0) - Ryan Bourque Tournament Champions ! 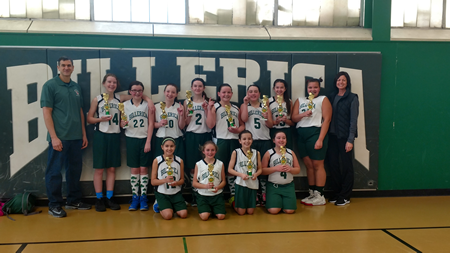 Billerica Travel 6th Grade Girls - Acton-Boxborough Tournament Champions ! 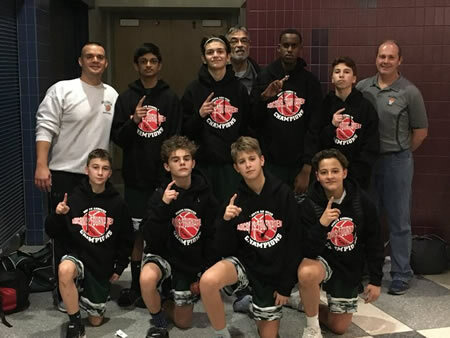 Assistant coach Joe Lankowski, Aidan Colby, Ajay Bijlani, AJ Tasone, Matthew Barros, Ryan Hornsby, Matthew Cook, assistant coach Eric Tedesco, Head Coach Pete Linton. Ty Tedesco, Chad Govoni, Stephen Lankowski, Cole Longuemare, Jacob Linton. Not pictured, Colton Jaques. 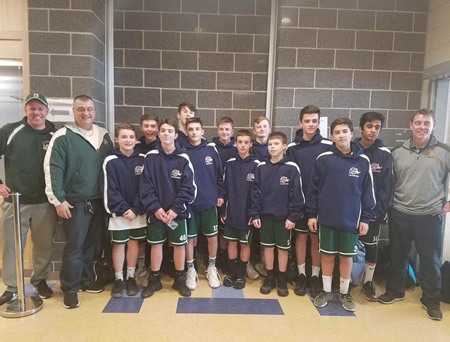 Grade 8 Boys Win the 2017 Adiconis Tournament In North Andover ! All schedules for practice and games will be posted once the teams and rosters are completed. We are still accepting registrations at this time. 2018 WINTER SNH ON-SITE REGISTRATION IS NOW OPEN! For more details, see the Sunday Night Hoop page. 2017/2018 BYB Registration OPEN !!! 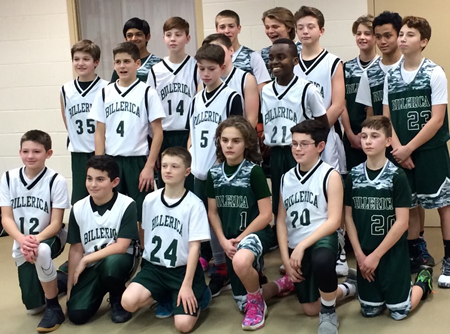 2017/2018 Billerica Youth Basketball REGISTRATION IS NOW OPEN! For more details, see the BYB Registration page. 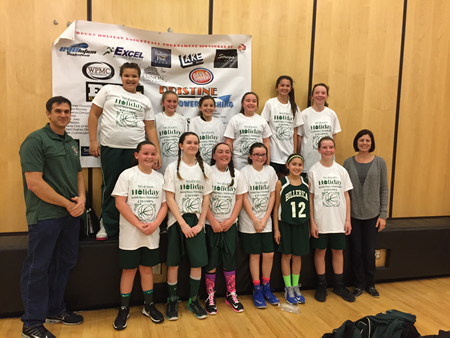 Mike Fiorino's Grade 5 Travel Team Win's the Billerica Shamrock Title ! Tej Patel wins Merrimack Travel Basketball League Sportsmanship Award !!! 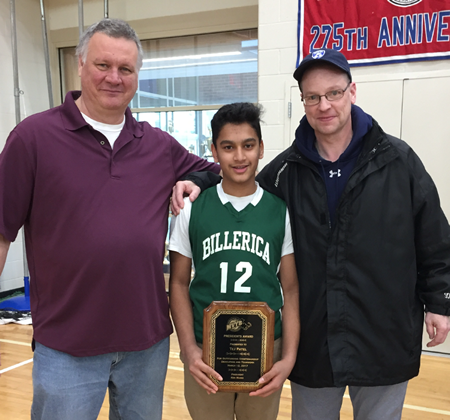 Tej Patel from the Billerica 8th Grade Boys Green Team was the winner of the Merrimack Travel Basketball League's Sportsmanship Award for the 2016-17 season. The award is given to the player who not only excels in basketball but also at school and in the community. Along with being a very good basketball player, Tej maintains high honors at the Locke Middle School, is a member of the math league, on the Vex Robotics team, plays in the middle school band and volunteers at his church. Billerica Youth Basketball is very proud to have such a fine young man as a member of our program. 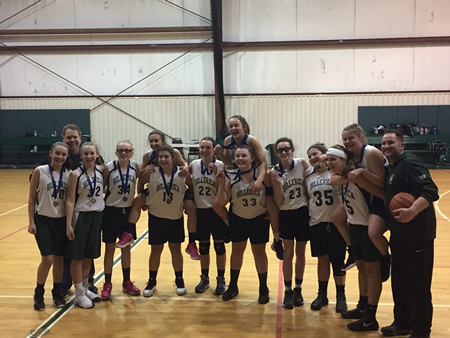 8B Girls Are Champs after beating Stoneham in the Title Game !!! 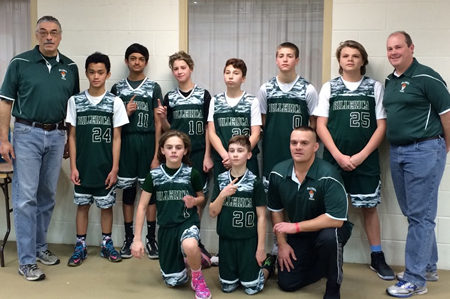 Joe Walker's Grade 7A Boys win the Jr. Hoop Hall Classic Tournament !!! 6A and 7A Boys each win the Jr. Hoop Hall Classic Tournament !!! 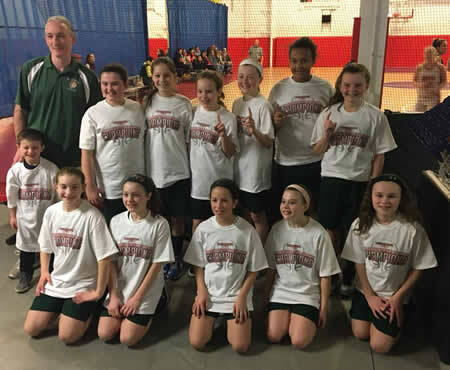 Mike Fiorino's Grade 5A Girls win Woburn Holiday Basketball Tournament !!! Copyright В© 2012 BillericaYouthBasketball.org. All rights reserved.